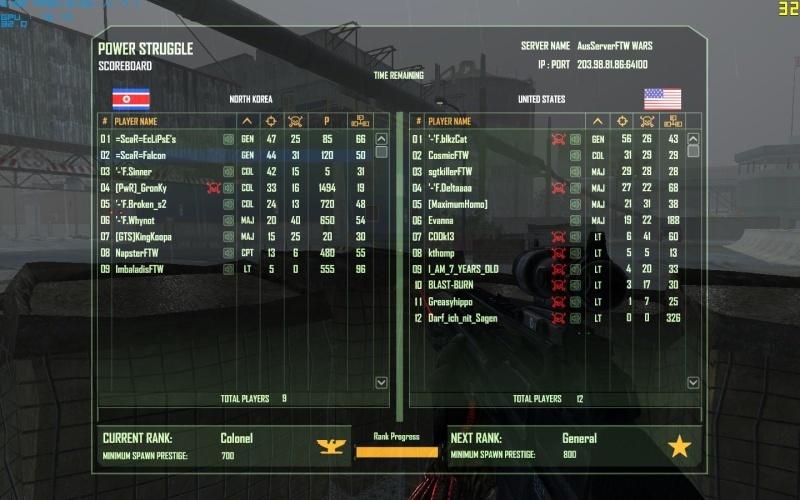 So here's the story...Eclipse and myself were on TS and decided to work together for the refinery game. This first image is at just under 3 minutes remaining, where I had to leave for a bit and do something. So then I come back and eclipse is leading, I catch up and then he gets a 3 kill noob tube shot (ie. he shot a vehicle with 2 ppl in it, and the explosion killed a third) just before the end...so he wins. 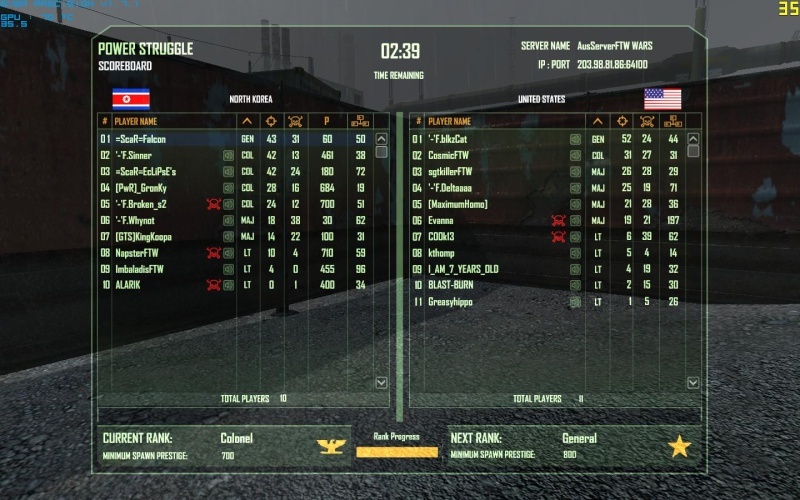 But yeah, it was good teamwork, always helping each other out, waiting for each other...Here's the final score. Noob Tube shot? It was skill.